Artist Thomas van der Krogt spent years studying the esoteric arts, composing music and writing before realizing his sublime talent as an artist. I've come to think of Eric not only as my mentor in the alchemical arts but as a true friend, in the deepest sense of the word. With that said, when Eric asked me to join in and make the three Bones Society a joined effort, not only was I thrilled but truly honored to work with someone of this calibre and with such intense visionary qualities! 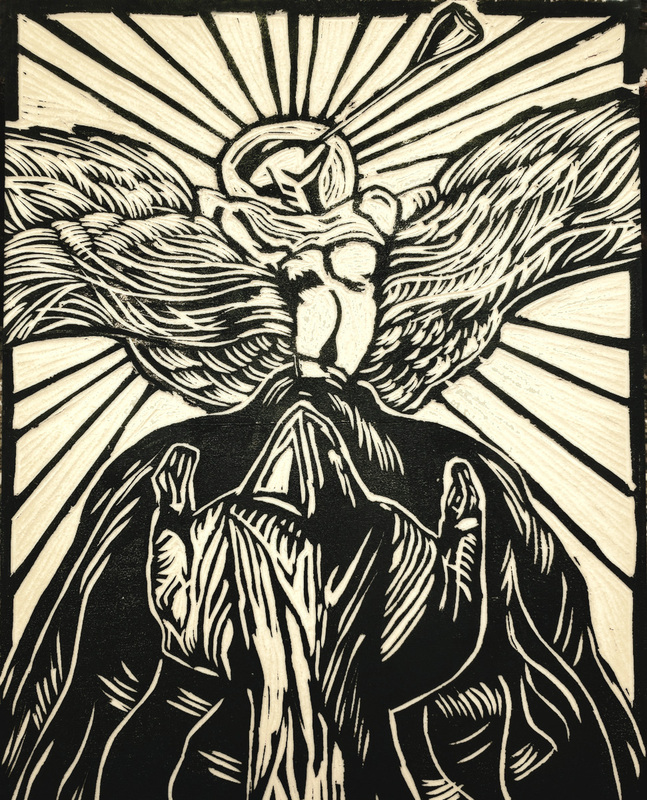 Find Thomas’ Prayer of Christian Rosenkeutz and his other prints in Thomas van der Krogt Prints.